If you adore Harry Potter, do yourself a favor and check out Harry Potter: Page to Screen, the Complete Filmmaking Journey. 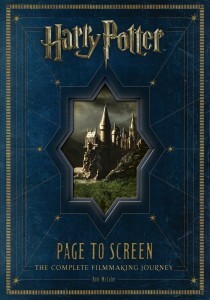 It’s a big, heavy, hardcover behemoth absolutely stuffed with photographs and text from all 8 Harry Potter films. Interviews with the cast and crew give insider information, and viewpoints from the set designers, costume designers, directors and actors show how meticulously the details of these movies were planned. 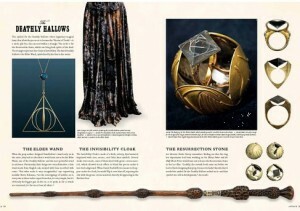 From the small things – Hermione doesn’t wear red or green, as “those are Ron colors,” the story behind Harry’s blue eyes (a controversial change from the books’ oft-referenced bottle green), and the talon design of Bellatrix’s wand – to the big things: hours of makeup for dozens of actors cast as goblins; the complex design of the set for Snape’s final scene; the massive miniatures built to stand in for Hogwarts castle, and the equally massive undertaking of covering those miniatures with “snow” for the winter scenes (and then meticulously brushing and cleaning that “snow” away before the salt it was made of could corrode the material beneath). LEGO Harry Potter Years 1-4 and Years 5-7: these video games are total crowd-pleasers! Any and all ages love the game play (a mix of puzzles and action) and the cute cut scenes, where LEGO versions of the characters act out key plot moments. Harry Potter on audio: These excellent recordings are perfect for a re-read. Harry Potter and the Methods of Rationality: not a library item, but this novel-length work of fan fiction (available for free online) is a must for Potterheads. The Unofficial Harry Potter Cookbook: what exactly is treacle tart?! You can find out and try it at home! The Unofficial Harry Potter Vocabulary Builder: Especially great for younger readers, this companion book offers definitions of 3,000 challenging words from all 7 books. 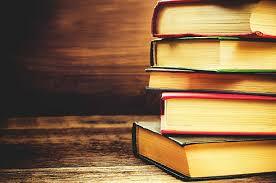 Harry Potter for your Kindle, Nook, or mp3 player: you can check out the ebooks via WILBOR! Works for all approved devices. All eight movies, available on DVD from DPL!